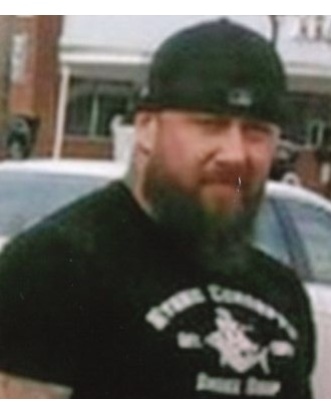 Joshua Ryan Baton, Sr., 39, of Charlestown, passed away on Monday, September 24, 2018. He was the husband of Melissa R. (Cooke) Baton. Born on October 28, 1978, he was the son of the late Harold Reginald Baton, Jr. and Sheila (Fanning) Botka and her husband Charles Botka, Jr. He leaves his children Shantelle Baton, Joshua Baton, Jr. and Lacie Baton; his sister Rebecca Hutton and her husband Walle along with a nephew Kai Hutton. A celebration of his life will be held on Sunday September 30, 2018 at 158C Botka Drive, Charlestown, RI 02813 at 12:00p.m.. A blessing followed by food and gathering. S.R. Avery Funeral Home, 3A Bank St., Hope Valley, RI 02832 is assisting the family with arrangements. In lieu of flowers, please donate to GoFundMe.com to help Joshua's children.